We make shopping for your Life Insurance easy. Complete the form on the right and we'll compare leading brands to find the most competitive quote to fit your needs. We make shopping for life insurance simple and hassle free. Complete the form on this page and we will search the market to find you a competitive quote to suit your requirements. We compare major brands and small insurance providers alike to make certain you get the best deal. Rest assured we'll keep the whole process jargon free too, offering you the simple way to find life insurance at a great price. Searching for life cover can be a time consuming exercise. Complete the form on this page and let us find life insurance to suit your needs and save you money. We will compare major brands and small insurance providers to get you the best price. 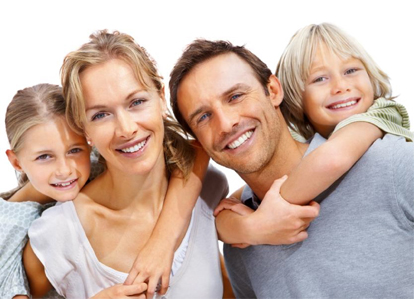 Life Insurance Your family will receive a lump sum should you decease within the term set out. Life Insurance with Critical Illness As above, plus receive a lump sum should you contract a critical illness (heart attack, brain tumor, cancer etc.) within the term set out. Mortgage Life Insurance The amount of cover reduces over the policy term, usually in line with your outstanding mortgage balance. Whole of Life Insurance A plan that covers you for the rest of your life instead of a set term. Length of Cover Select how long the cover should last to cover your mortgage repayments, or the number of years until your children are grown up and no longer require financial support for example. Amount of Cover This is the lump sum which will be paid in the event of your death or critical illness. Consider the amount required to cover your mortgage or the cost to support your childrens education. Joint Application Is this a joint application. Shopping for Life Insurance can be a daunting but vital task. is an excellent brand with many years providing an excellent service to their customers, however we want to make certain you receive the best possible premium for your life insurance needs. Compare Life Insurance with other leading brands and we will provide you with a price to suit your requirements and your budget. Complete the form above to receive your competitive quote. When comparing life insurance quotes we keep things simple. With one sixty second form to get started, we'll search the market comparing leading brands with smaller lesser known insurers to find you a selection of plans. We will then contact you to discuss the available plans. There is no obligation to proceed with any of the plans offered.